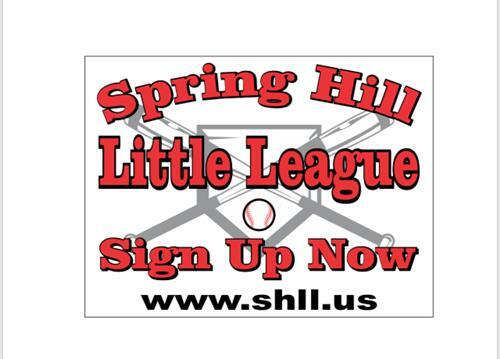 Spring Hill Little League is a non-profit youth baseball organization serving Spring Hill and surrounding areas. 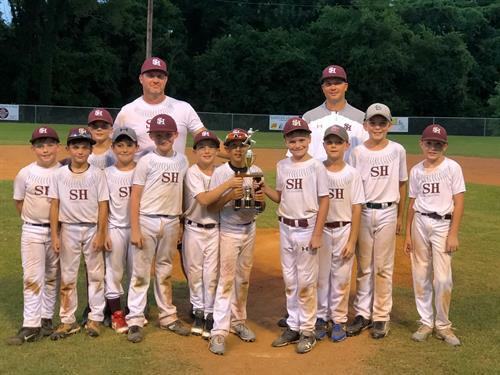 SHLL is a competitive baseball program promoting team work, teaching individual self-esteem, establishing community pride, and building personal development for boys and girls, ages 4-12. Established in 1996, SHLL plays games on the fields directly behind Spring Hill Elemenary near Evans Park. Our goal is to provide the best baseball atmosphere for all players and their families, and developing each player, not only to play the game of baseball, but in life off the diamond as well. Help us by supporting our organization each spring and fall season, as we look for team and league sponsors.